Lisa Haydon has certainly come a long way from the ramp to her Bollywood debut in Aisha four years ago. The half Malayali-half Australian model-turned-actor now plays the single lead heroine in Akshay Kumar starrer Shaukeens (releasing today). Rati Agnihotri played the role in the 1982 original film Shaukeen. In version 2014, the main actors, a triumvirate of veterans, the highly talented Annu Kapoor, Piyush Mishra and Anupam Kher play a�?dirty old mena��. 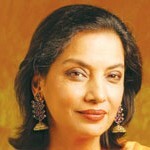 Haydon was noticed for her performance as the free-spirited Vijaylakshmi in Queen earlier this year. Next year, Lisa will appear in the comic Santa Banta with Boman Irani and Neha Dhupia. Prior to her role in Queen, Lisa made it to the gossip pages for her relationship with DJ and entrepreneur Karan Bhojwani, especially for a high profile engagement in 2013 followed by a sudden break up. But now Lisa seems to be focused on her film career and is even gaining experience on being linked with young Bollywood co-stars. 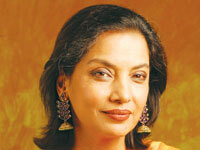 There is no stopping Shabana Azmi. After completing a stint on the first Indian adapted series of 24, the actor and activist decamped to the UK to act in a British-Asian play called Happy Birthday Sunita. The touring play can be seen in Delhi and Mumbai in early December. For now, fans can see Azmi on the big screen in the 2011 crossover film A Decent Arrangement (releasing today). This film by Sarovar Banka is the story of an Indian-American copywriter who comes to India in order to have an arranged marriage. But then he is torn between an American woman traveling through India and the Indian woman with whom he is set up. Azmi has also appeared in a British short film and will soon begin shooting for a film about the last king of Punjab. who discovers couch surfing, Coffee-Bloom which is currently doing the film festival circuit and a small part in Angry Indian Goddesses. Making a bang in Bollywood? After achieving global fame playing the over-dressed scientist Raj Koothrapalli in American sitcom The Big Bang Theory, actor Kunal Nayyar has slowly been inching back to his homeland. Earlier this year, he starred in Indo-Canadian film Dr. Cabbie and also presented a documentary on cricket called Beyond All Boundaries. Born in England but with roots in Delhi, Nayyar, who married former Miss India Neha Kapur in 2011, recently said he had a�?an inherent desire to do a movie in India, but I am waiting for a project that hits all the right spots,a�? reported PTI. And now it seems he might be a huge step closer to realising that desire. Buzz is that he has signed an international production that will see him cast opposite Bollywood stars and reach a global audience. While the details are hush-hush right now, watch this space for more soon. He is also shooting for Aditya Bhattacharyaa��s Momentary Lapse of Reason with co-stars Lance Reddick and Sendhil Ramamurthy.